From routine cleanings to emergency dental care to treatment of TMJ in Park Ridge, IL, Dr. Luma Naim and her team of dental professionals are ready to become your lifetime healthcare partner. The best way to avoid dental problems is through prevention. If you ever have a question about your dental wellbeing, please ask! Checking for oral cancer is a mainstay of what we do. This allows us to discover early if you have suspicious nodes, bumps, or lumps that could be signs of precancerous cell growth or cancer. When a root canal is needed, it is comforting to know that your family dentist can care for you in a familiar setting. Kids need healthy teeth and gums, too! We help young patients get a great start on caring for their mouths. Having dentures means having special needs at the dentist. We understand how to ensure that your dentures fit well and are doing what they should to support your oral health. Tooth grinding behavior can be an indicator of TMJ. If you are suffering from this common condition, we can introduce you to strategies and procedures to lessen the discomfort you feel. Have you had a trauma to your mouth? Are you edentulous (without any teeth)? A full mouth regeneration can change your life. Ask how at your next appointment with Dr. Naim. We look forward to becoming your dentist of choice in Park Ridge, IL. Contact us at 847-292-8200 to make an appointment. 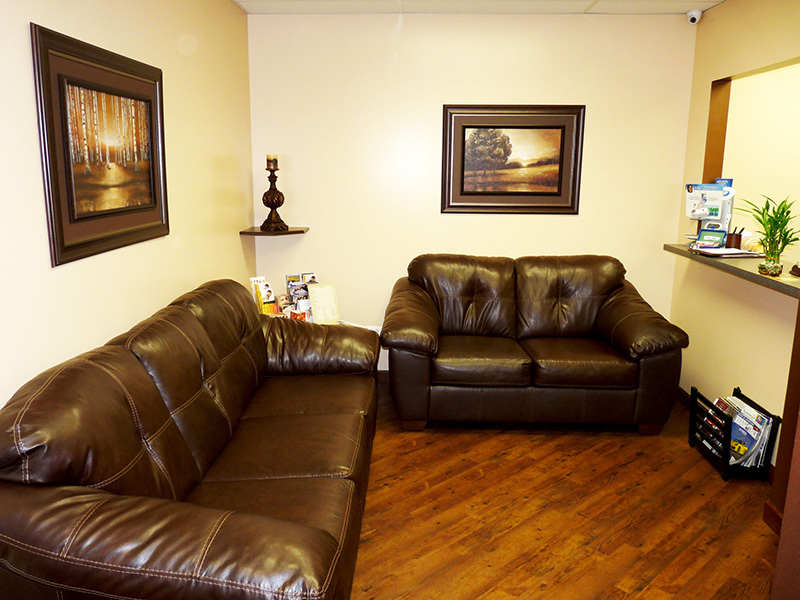 Every time you meet with us, we want you to feel as comfortable as possible. This is the reason we offer needle-free anesthesia, topical numbing gels and oral sedation options. Many people are concerned because they are highly sensitive; these choices can alleviate stress and provide a more relaxing treatment experience. Dental emergencies are unplanned and sometimes very serious occurrences that affect your teeth and gums. When you need emergency dental care, call 847-292-8200 right away. We will get back to you as soon as possible to talk about your needs. From tooth reimplantation and transplantation to occlusal adjustments, we are here to give you the treatment you need for your dental emergency. Looking for general dentistry services from professionals who serve patients in Park Ridge, IL? North Shore Dental Group offers routine services and emergency dental care for all ages. Find out more about us by calling 847-292-8200.